The Decatur Collection is the transitional style that you have been searching for in your dining space. Wood legs, in a rich cherry finish, support both the marble tabletop and chair seats. Tufted accenting on the chair back lend not only to the design, but your comfort as well, as you sit with family and friends over a casual meal. 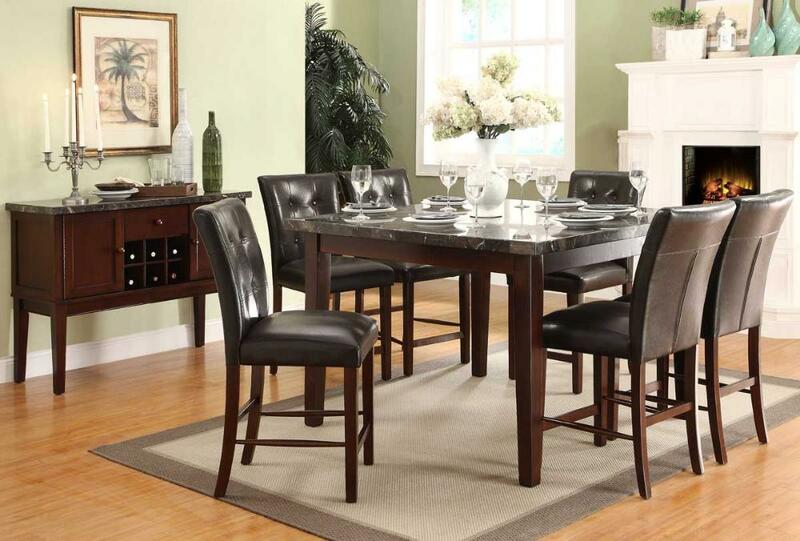 FEATURES: Rich Cherry Finish ~ Transitional Style ~ Genuine Marble Table & Server Top ~ Brown Bi-Cast Vinyl Chairs.